You can set up a feed from your Teamup Calendar to other calendar applications such as Google Calendar, Microsoft Outlook or Apple’s iCal. This is achieved using iCalendar feeds. iCalendar feeds are read-only and provide a periodic automatic synchronization between the source calendar (Teamup) and another calendar application. This article describes how to set up outbound iCalendar feeds. This means that the calendar feed goes out from a Teamup Calendar to another calendar service, or to another Teamup Calendar. configure the other calendar application to receive the feed(s). Keep in mind that this is a one-way read-only synchronization. You can view the events on an iCalendar feed, but you cannot modify them. Read more about security, sync frequency, data range about outbound iCalendar feeds. You need to use the web browser interface of Teamup to access the iCalendar feed URLs. If you are using a Teamup mobile app, open the Teamup calendar using a web browser or mobile browser before proceeding. 👉 Click the blue menu button in the top right corner of your calendar. Go to the Menu > Preferences > iCalendar Feeds to get iCalendar feed URLs. A list of sub-calendars will open with an iCalendar feed URL for each one. At the bottom of the list is an iCalendar feed URL for all sub-calendars. 👉 Copy the URL you wish you use. If you wish to create a feed for a selected set of sub-calendars, you can do so. 👉 First, create a read-only link to the selected sub-calendars. Access the calendar through this link. Then copy the iCalendar feed URL for “All sub-calendars” and proceed. If the iCalendar Feeds menu item is not active in your menu, then this feature has been disabled for your calendar. Ask the administrator of your calendar to enable it. Each calendar application is a bit different. We do our best to keep this section updated with accurate instructions, but your experience may vary. 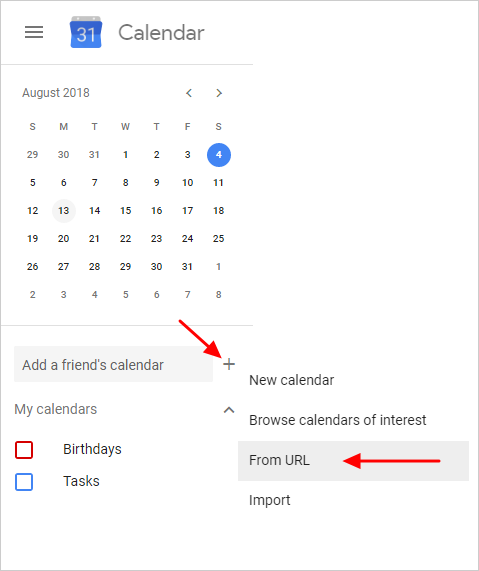 To add the iCalendar feed from a Teamup calendar to another calendar service, paste the feed URL into the feed address field of the subscribing calendar service. 2. Paste the URL you copied from your Teamup Calendar feed. Click Subscribe. 3. On the next screen, edit the name and other details, such as auto-refresh frequency. Click OK.
See also instructions from Apple. To have iCloud push a Teamup Calendar feed to all your Apple devices, subscribe to it on your Mac (not on iPhone or iPad), and choose “iCloud” as the Location, as described here. Select the calendar in the sidebar and then choose Get Info from the Edit menu. 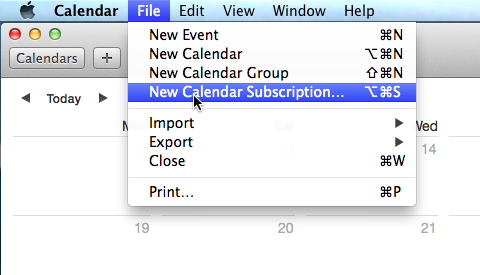 If you selected a subscribed internet calendar, you will see an Auto-refresh popup menu. Select your desired refresh frequency from the Auto-refresh pop-up menu. Click Calendars on the top left. Your subscribed Teamup Calendar will appear under Other or iCloud. From the menu, choose Edit > Delete. Tap Other at the bottom of the screen. Enter or paste the iCalendar feed URL from your Teamup Calendar in the field Server. Tap Next. 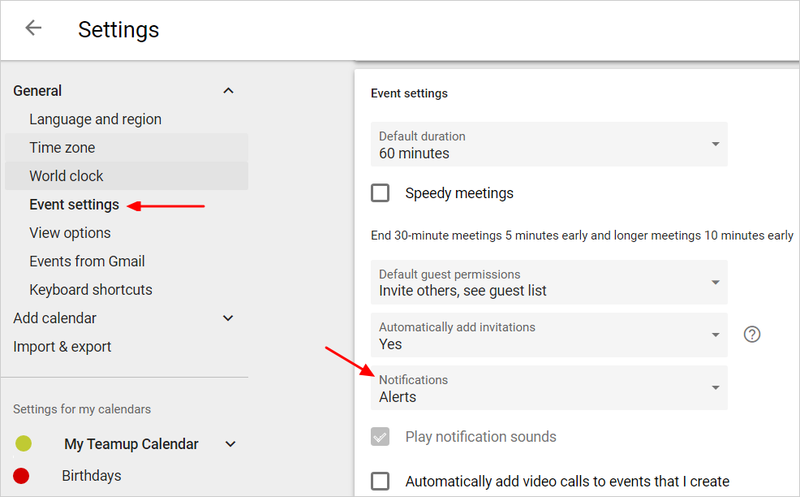 If you want to enable reminders, turn on the Events Alerts (make the button green so that you can set up reminders). After you have done the above, your subscribed Teamup Calendar will appear on your device’s default calendar app using iCal. You can then set color for the calendar, or turn the Event Alerts button on or off as you wish. If you are subscribing to a Teamup iCalendar feed that contains multiple sub-calendars, the colors for each sub-calendar on your original Teamup Calendar will be lost. Instead, you can assign one color from your iPhone/iPad for the entire Teamup Calendar feed. To change the update frequency: In step 3 above, tap “Fetch New Data” instead of Add Account. Scroll to the bottom and select the fetch frequency. To remove a subscribed calendar from your iPad or iPhone, check out this article. At the left hand side, next to Add a friend’s calendar click on the symbol + . In the new dialog window, type or paste your Teamup iCalendar feed URL and click Add Calendar. Optionally, you can set reminders by going to in Settings > Notifications for selected events, or for the entire calendar. 1. In Outlook, click File > Account Settings > Account Settings. 2. On the Internet Calendars tab, click New. 3. Paste the feed address you copied from your Teamup Calendar and click Add. 4. In the Folder Name box, type the name of the calendar as you want it to appear in Outlook, then click OK. When you start Outlook, it checks Teamup Calendar for updates and downloads any changes. If you keep Outlook open, it also periodically checks for and downloads updates. However, be aware that Outlook (and some other calendars as well) may not update for up to 48 hours. The instructions are slightly different if you are using Outlook or Outlook Beta. See Microsoft’s instructions of how to subscribe to a calendar from Outlook or Outlook Beta. 2. Right click on the calendar you wish to delete and select Remove. To subscribe to a Teamup Calendar feed from another Teamup calendar, you need to have administrator access to the subscribing Teamup Calendar. From your administrator link, go to Settings > Calendars. Click the blue button New in the top right and select Add iCalendar feed, then fill out the form. See Teamup inbound iCalendar feeds for more details. This is a global setting for the entire calendar and will affect all sub-calendars.